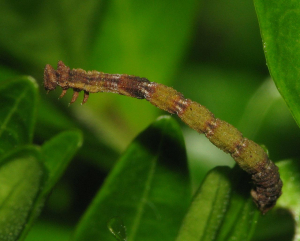 Observation - Looper Caterpillar - UK and Ireland. Description: Seen on variety of Box with larger leaf than usual. Seen on variety of Box with larger leaf than usual.